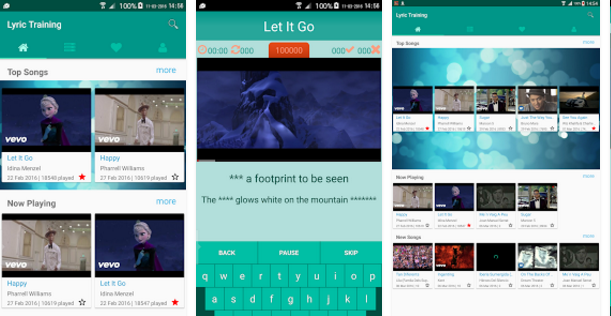 Lyric Training is an application for learning English through lyrics and songs. The app helps users improve listening skill, pronunciation and vocabulary by watching and listening to a music video with lyrics. Under users’ level options (Easy – Normal - Hard), a part of lyrics will be hidden and the users have to listen and fill in the blanks to complete lyrics. The app has a scoring system in each video to determine the rank after the players finish, and Top 3 Users having the highest score will be displayed before each video.